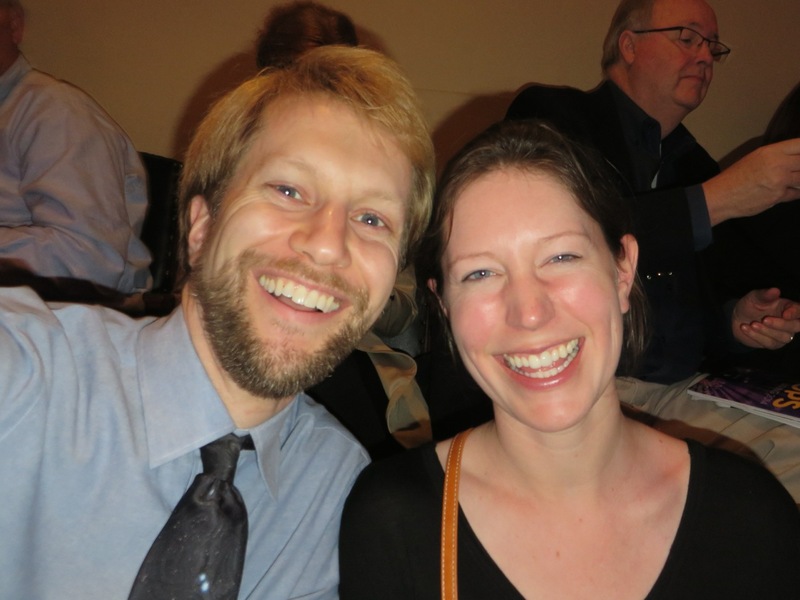 Sci-fi geek extraordinaire, Ken supports the arts a performer, moderator, and movie-goer. When not appearing on stage or in films such as Fever Pitch, he is a freelance writer, Apple II enthusiast, and Showbits webmaster. Follow him on Twitter and Google+. It's been hard to come to terms with the passing of Leonard Nimoy, the actor who brought Star Trek's half-Vulcan science officer to life and created a cultural phenomenon that would persist for generations — including within my own family. My father introduced me to Star Trek when The Next Generation premiered in 1987. At that age, I didn't understand that different people led different lives, and I went to school the next day thinking all my classmates had watched it, too. I spent my recess talking about Star Trek to anyone on the playground who would listen, nonplussed when they weren't as excited as I was. It wasn't until years later that I learned of IDIC — Infinite Diversity in Infinite Combinations: that differences are to be not just tolerated, but celebrated. Decades after discovering Star Trek, I've grown deeply curious about those differences, interviewing people every week to learn about their lives and experiences, so that I never again make that same lunchtime assumption I did in second grade. My earliest memory of Leonard Nimoy was watching Star Trek: The Motion Picture on VHS with my family. When Spock first beams aboard the Enterprise, whereas Kirk and McCoy are happy to see him, Spock is unmoved by seeing his old crewmates. I asked my parents what was wrong with him, and rather than try to explain the alien suppression of emotions, they just said that Spock didn't remember his friends. But Vulcan's emotions run deep and hot: they feel everything humans do, even more so, which is why they can't allow themselves to be ruled by their feelings, lest they run amok. I was raised in a family that did not celebrate such passions, so, like Spock, I kept mine reined in. I learned the hard way that it's better to embrace one's humanity… something that Spock at times struggled to understand himself. Spock wasn't the only one with an identity crisis. I'm too young to remember Nimoy's efforts to break typecasting, which may be for the best: while I try to acknowledge actors' lesser-known works, Nimoy was always Spock to me. And unlike some actors who fade from the limelight, Nimoy always seemed to be doing something special, whether it was as silly as a Priceline commercial, as fun as directing Three Men and a Baby as invisible as voicing a Transformers villain or narrating a video game, as meaningless as singing a silly song, or as meaningful as advocating for diversity in body types. While I may've believed Spock had forgotten his friends, it was impossible for us to forget Spock. It felt like Leonard Nimoy would always be there; waking up on Saturday to a world without him was hard. I never got to meet Leonard Nimoy. The closest opportunity I had was a Boston convention in November 2009, but I was at a Star Wars concert narrated by Anthony Daniels instead. 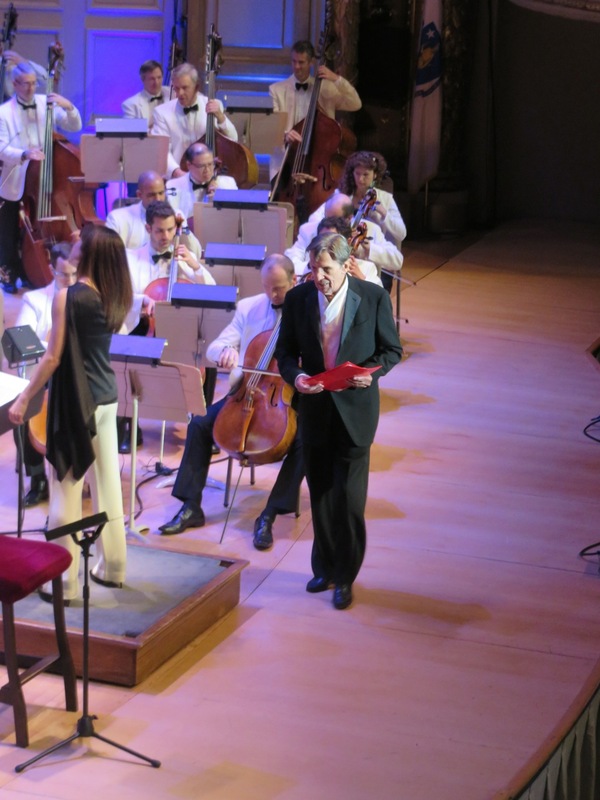 It was a similar venue in which I did finally see Leonard Nimoy, though: he narrated the Boston Pops' "Out of This World" concert this past May. 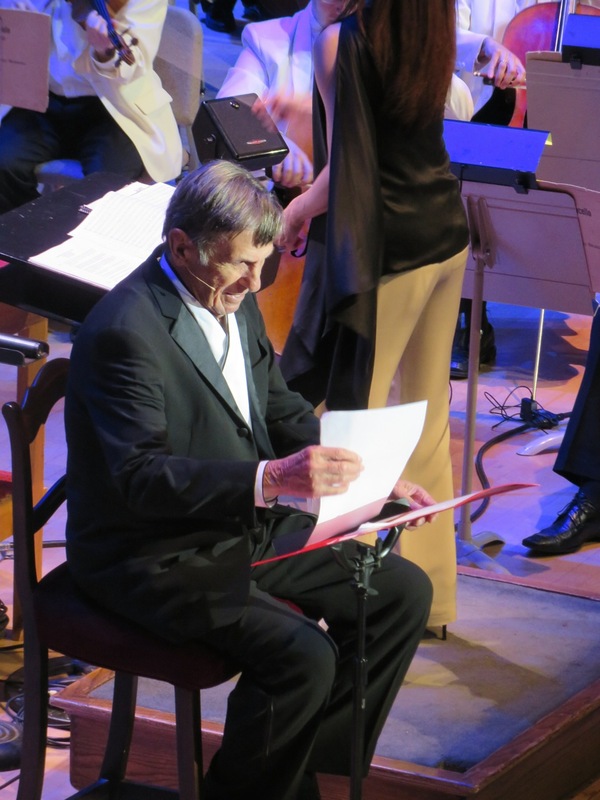 No one in the audience, least of all me, imagined it was Nimoy's last May in his final trip around the sun. 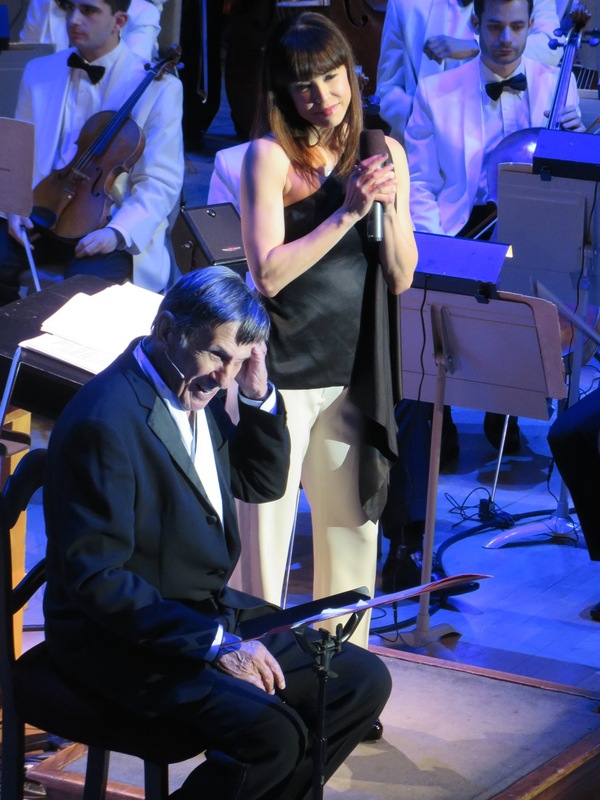 That concert was a homecoming for Nimoy, being born and raised right in the heart of Boston. 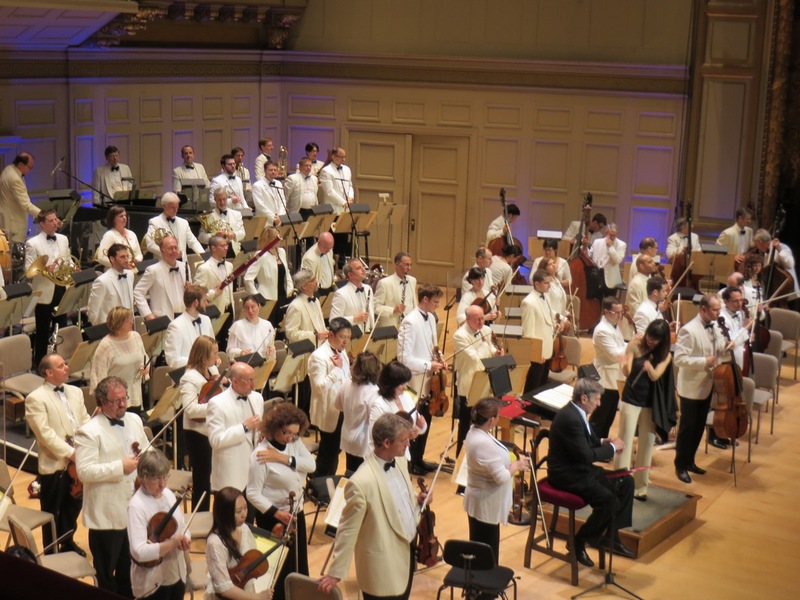 He often lent his sonorous voice to his hometown, narrating not just the Boston Pops but also the Boston Museum of Science's Omni Mugar theater. As a student and teacher, child and adult, I've been to the MoS many times; Leonard Nimoy is my earliest memory of it. Now all we have are memories and Nimoy's exhaustive library of art. There have been and will be other Spocks, of course — most notably Zachary Quinto, but also other incarnations across many fan films, and the continuing voyages of the starship Enterprise in novels and other media. But there never will be another Leonard Nimoy. It's been less than a week, and I miss him already. I may not have properly expressed or acknowledged, even to myself, Nimoy's importance. I've been going to Apple conventions my entire life, but it wasn't until 2013 that I attended my first Star Trek convention. 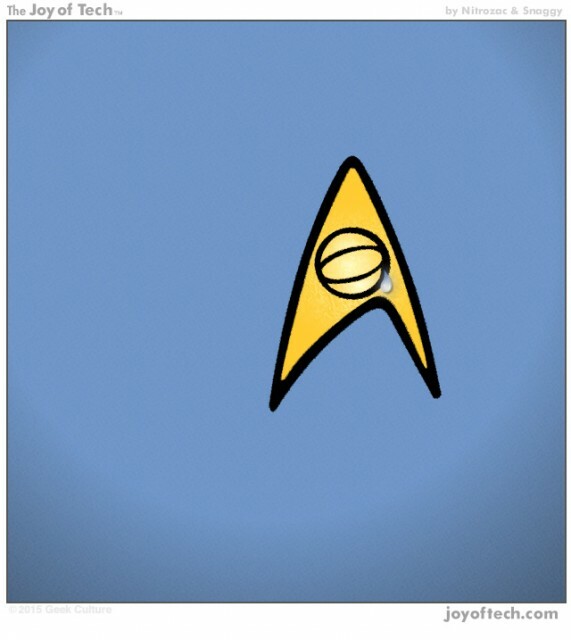 But both Apple and Star Trek have been fundamental in informing my outlooks and philosophies. Celebrities aren't my only heroes, but celebrities can help me get to know my heroes. Star Trek is something I've shared with my father ever since TNG's debut. 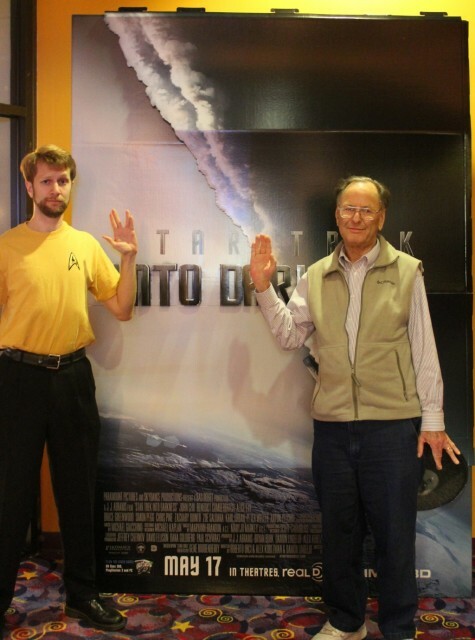 We've been at the opening night of each of J.J. Abrams' Star Trek movies. I hesitantly mark our time together by these milestones, knowing that the same COPD that claimed Nimoy now stalks my father. As a friend of mine recently put it, "Time will take all the people I look up to." But we are fortunate to have had Leonard Nimoy grace us for 83 wonderful years. From wherever he came, he has returned. We salute him and his many contributions to art, science, and humanity. Thank you for so many adventures and missions. Happy New Year! It's been four years since I took this opportunity to reflect on the past year of movies, so I have some catching up to do! This was my first full year living in Boston. I now have easy access to so many theaters that it's easy to hop on a bus or subway and see one after work or on a weekend. Likewise, I also have easier access to friends who live in Boston, where I went to grad school. Many of them don't have cars but can use public transit to coordinate outings. More invitations to the movies equals more movies. The Brattle Theatre, a non-profit theater in Harvard Square. It has only one screen and generally shows a different film every day, ranging from classics to indies to regional debuts. I'm a patron of the Brattle, which grants me a dozen free tickets a year. Darned if I'm going to let them go to waste! However, this also means not every movie I saw in 2014 was necessarily a 2014 release, such as Labyrinth and Mr. Smith Goes to Washington. RiffTrax Live. The creators of Mystery Science Theater 3000 have kicked up the number of live-streaming comedic commentary events, with four in 2014 alone. I backed two of them via Kickstarter, so of course I was going to see my name up in lights! Having gone to the theaters so many times, I thought the competition for best films of the year would be stiffer, but the choices are fairly obvious — especially if you like children's films: Frozen (which technically came out in 2013), The Lego Movie (essentially a retelling of The Matrix), and Big Hero 6, which I liken to a cross between How to Train Your Dragon and The Incredibles. All three films were a pure joy, and though there is a place for cinema to be challenging and address dark or difficult subjects, I felt like these movies made moviegoing fun, while featuring believable characters and some plot twists that elevated them above being insubstantial tripe. I'm not going to make predictions for 2015. The last time I offered predictions, they included promises that I would not be seeing X-Men: First Class or the Footloose remake. I ended up seeing and thoroughly enjoying both! So enjoy whatever the year has to offer. Showbits' official debut was eight years ago this month, and though my energy for blogging has mostly been directed elsewhere, theatergoing is still a big part of my life. I look forward to sharing those experiences with you for years to come! Today is Christmas Eve, which for many means a gathering of loved ones. If you never strayed far from home, like me, then this ritual may feel almost rote. But if you are far-flung, then this return to your roots can be special — a small window of time in which whatever's been missing from your life is once again present. I miss the many holiday traditions I had as a kid. Whether it's the sense of wonder and mystery, or the love that family showers upon each other, both are absent now. But I sometimes feel a lingering trace of those magical times when I see tried-and-true holiday specials again making the rounds. One of my favorites was A Muppet Family Christmas. Like an actual holiday, this 1987 TV special has no real plot beyond the joys, hijinks, and insanity that ensue when many people who are very different but yet still care for each other try to fit into one place. The tenderness all the characters have for each other is obvious — but what made this movie really special was the special appearance of the residents of Sesame Street. I grew up watching Sesame Street and never understood — still don't, actually — why the only crossover between that cast and the Muppets was Kermit the Frog. This Christmas special finally broke down that wall and united the two families like old friends. That the celebration happens at Doc's house, the set of Jim Henson's other show, Fraggle Rock, made it all the more magical. There are many people I won't be seeing at this or any future Christmas, and I miss them dearly. But in this brief holiday special, we can always count on all our friends, no matter the neighborhood, to show up and wish each other, and us, a merry Christmas. Filed under Reviews, Television; 2 comments. In the fifteen years since I cancelled my cable service, the television landscape has changed: "reality TV" was invented, medical and legal procedural dramas boomed, and HDTV became the norm. So it was interesting to watch and review the AMC series Halt and Catch Fire for Computerworld. Not being an AMC subscriber, I bought a season pass for the first four episodes on Amazon Instant Video and paid for the fifth episode individually. It's hard to judge any show by its early episodes — I doubt any of the various Star Trek series would've lasted long by that metric. So I tried to keep my critical eye at bay for the first few episodes, which was not easy. The three main characters — Joe MacMillian (Lee Pace), Gordon Clark (Scoot McNairy), and Cameron Howe (Mackenzie Davis) — are trying to develop one of the first IBM clones of 1983, but their subterfuge and machinations, with both corporations and each other. I roll my eyes at such drama for the same reason that I stopped watching soap operas. MacMillian, who physically reminds me of a cross between John Cusack and Andy Garcia, is a vile businessman who oozes deceit and smarm. He's a character you love to hate. Lee Pace as Joe MacMillian. What a jerk. But there are some really nice moments of character development, too. Clark, the show's Steve Wozniak-like character, struggles to realize his dream of creating the ultimate computer and will hitch his wagon to whoever can help him get there. At the same time, he's trying to be a good husband and father, though his family clearly isn't his priority. Overall, I've enjoyed watching the first five episodes and will likely continue watching the series as time permits. 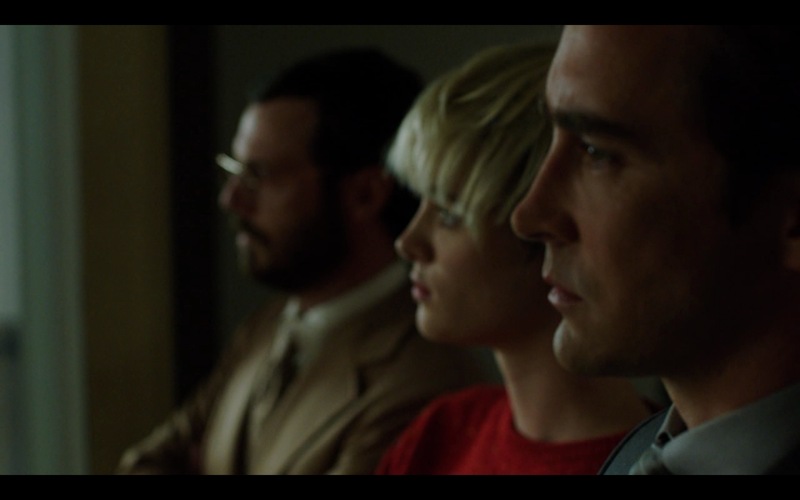 For more details, read my full review on Computerworld.com, "Halt and Catch Fire adds sizzle to PC history". Filed under Television; 3 comments. Superheroes are cashing in big at the box office — but on television, they're a gamble. Agents of S.H.I.E.L.D., despite being renewed, has received mixed reviews, while other shows such as The Cape haven't survived a single season. This fall, several shows are taking the bet that they can buck the trend and be a success on the small screen. Look familiar? This character already had a television run with a 1990 live-action series starring John Wesley Shipp. 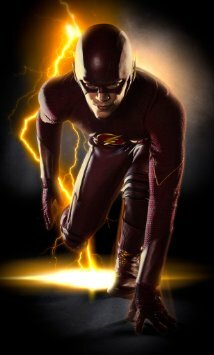 That incarnation of the Flash lasted only one season and 22 episodes, with the high cost of production cited as a reason for its cancellation. But with special effects now more affordable and accessible than ever, it's not just the Flash that's getting a second chance: Shipp has been cast in a recurring role as the hero's father, Henry Allen. Lightning does strike twice! I'm more excited about that casting decision than I am about 24-year-old Thomas Gustin as Henry's speedy son, Barry. He seems too young and similar in build to Andrew Garfield, whose second Spider-Man movie debuted earlier this month. I don't know how old Barry was in the comic books when he received his powers, and I'm not opposed to rewriting and adapting the source material — but Tobey Maguire did such a great job of showcasing powers thrust upon the young that I'd like to see a more mature hero in this role. With Arrow and The Flash on the same network — and set in the same universe, as seen in the above trailer's crossover — is DC positioning itself to create a television pantheon to rival Marvel's silver-screen Avengers? If so, what role will Smallville play in this lineup? Superhero cameos were the norm in that decade-long incarnation of Superman, though the Green Arrow that appeared there is seemingly not the same character who now has his own show. Where will they go from here? Of course, Marvel isn't going to let DC have all the fun. Complementing the second season of S.H.I.E.L.D. will be a precursor to the agency in Agent Carter, with Hayley Atwell reprising her role from the Captain America films. Based on the Agent Carter one-shot that was released with the Iron Man 3 DVD, the series will be set in 1946, during the post-WWII founding of S.H.I.E.L.D. Whether this show will be like Gotham in the unlikelihood of featuring superheroes, or will be closer to S.H.I.E.L.D. in its encounters with the unknown, remains to be seen. Movies take only two hours to judge, but as fans of S.H.I.E.L.D. 's Joss Whedon know, television shows can take years to mature and for characters to develop Let's hope these superhero spinoffs get that chance. This month marks two one-year anniversaries. January 12 was my departure from Computerworld, the magazine and website where I'd been an editor for six years; January 22 commemorates my arrival at the Massachusetts Institute of Technology, where I now work on the MIT Medical marketing team. I was concerned that leaving the publishing field would diminish my value as, and opportunities to be, a journalist. Much to my pleasant surprise, the opposite has proven true, with resources and collaborations now possible that weren't a year ago. When Monica Castillo of the Cinema Fix podcast recommended I see the movie Her, starring Joaquin Phoenix, I sensed the opportunity for a story. Monica had previously gotten me into a press screening of Jobs, which I turned into a review for Computerworld. With Her's focus on a lonely bachelor's romantic relationship with a Siri-like mobile operating system, this film also seemed up the alley of Computerworld's readers. I sold my pitch to their news editor. Here's the thing about writing film reviews for Computerworld: it's a publication that covers IT, not cinema. For the article to be a good fit, it would have to connect to the IT angle somehow. Past methods of doing so wouldn't work. For my first Computerworld movie reviews — The Bourne Ultimatum, Live Free or Die Hard, Iron Man, and Iron Man 2 — I paired with a security expert and analyzed that aspect of the movie's tech. But Computerworld didn't feel I needed a co-writer for Her. Jobs had plenty of historical fact to assess, but Her was a fictional, futuristic work. My editor suggested that "It would be great if we could set the context around the melding of technology and day to day life as opposed to just a straight out 'this was a good/bad movie'." I wanted to do more than that — but what do I know about artificial intelligence? Fortunately, whatever technical knowledge I lack, MIT has in spades. Right in my own academic backyard is CSAIL, the Computer Science and Artificial Intelligence Laboratory. I reached out to the MIT News Office, and Abby Abazorius connected me with principal research scientist Boris Katz. On short notice, Katz made himself available to discuss the basics of artificial intelligence and consciousness and how they compared with the capabilities of Samantha in Her. Even though Katz had not seen the film, my line of questions based on my own viewing opened him right up. After just 45 minutes of conversation, I had ample material to transcribe. The resulting article, "It's easy to fall in love with Her", was published on January 11 — a year to the Friday that I left Computerworld for MIT. I found it a fitting manifestation of the ways in which I can continue to be a contributing member of the Computerworld community, even more so now that I have access to everything MIT has to offer. Who knows what other stories lie about MIT, waiting to be unearthed? 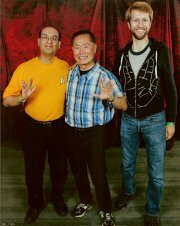 This past June, I attended my first Star Trek convention. "WHAT?!" you say. "You've been a Trekkie since TNG debuted in 1987, and you've never attended a con?! What's wrong with you?!" 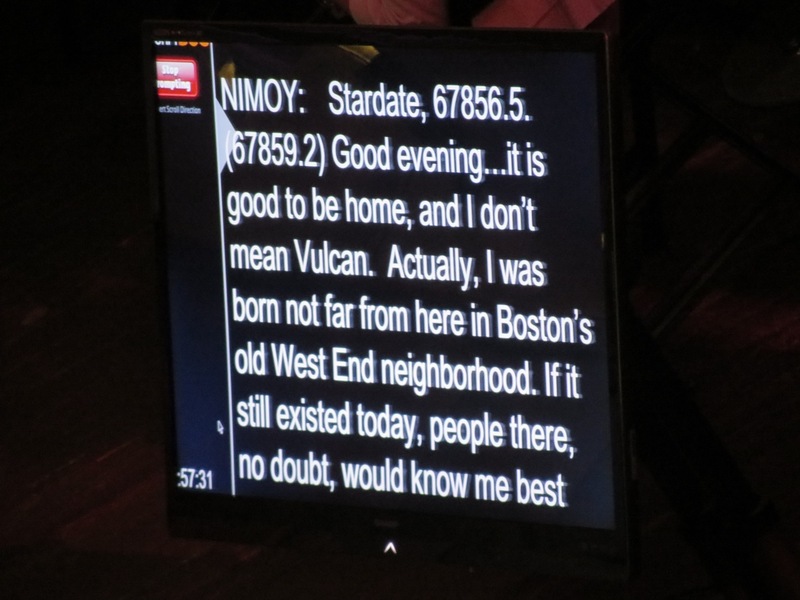 For one, there hasn't been an abundance of Star Trek conventions in Boston, at least not that I've been aware of. 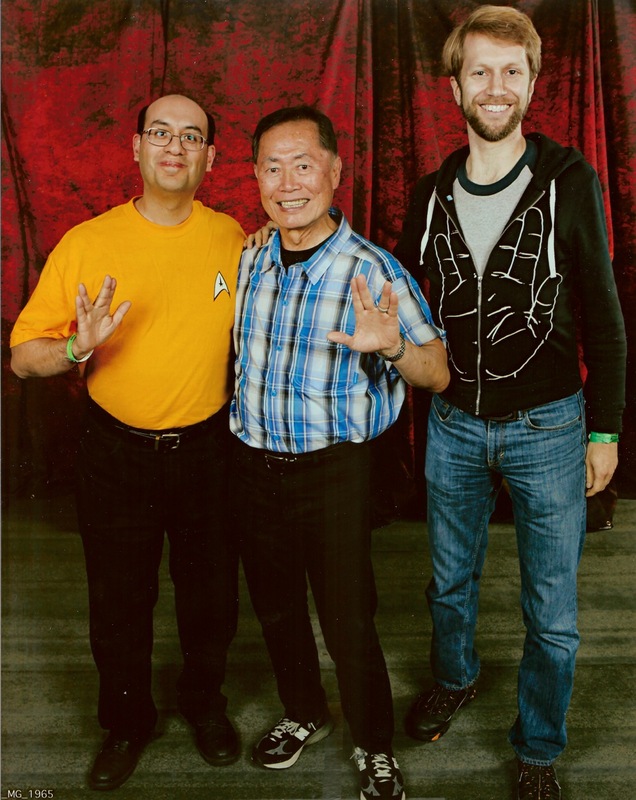 Two, I've traditionally gotten my Star Trek celebrity fix at Super Megafest, where I've had the honor of meeting Patrick Stewart, Jonathan Frakes, Brent Spiner, and Marina Sirtis. Three, I wasn't really sure what a Star Trek convention would consist of. Video game conventions like MAGFest or PAX East have panels, workshops, seminars, and speeches on topics from programming to gamification to gender representation to crowdfunding. I didn't imagine that a Star Trek convention would boast such variety. But when Creation Entertainment brought to Boston a convention featuring almost the entire Next Generation cast — only Stewart, Frakes, Diana Muldar, and Wil Wheaton would be absent — as well as actors from TOS and DS9 (though none from Voyager, Enterprise, or the new movies), I knew it'd be worth at least the short trek into Beantown. As it turned out, my expectation of the con agenda's homogeneity was right on the mark. Other than a costume contest, every session was dedicated solely to celebrity Q&A, with almost no preamble, presentation, or even moderation — the actors simply took the stage and immediately turned to the audience for topics. Almost no actor appeared alone, instead being paired with someone with whom they shared screen time, such as Michael Dorn with Suzie Plakson (Worf and K’Ehleyr), Brent Spiner with Gates McFadden (Data and Beverly Crusher), and Rene Auberjonois with Nana Visitor (Odo and Kira Nerys). The questions were fun, ranging from personable ("What was it like working with so-and-so?") to technical ("Why doesn't the Prime Directive apply to a planet's flora as well as its fauna?"). My favorite line was from someone who had done his research, who presented this fact to Dorn: "We watched every episode of TNG, and the number of times the captain took one of Worf's suggestions in seven years was only once!" 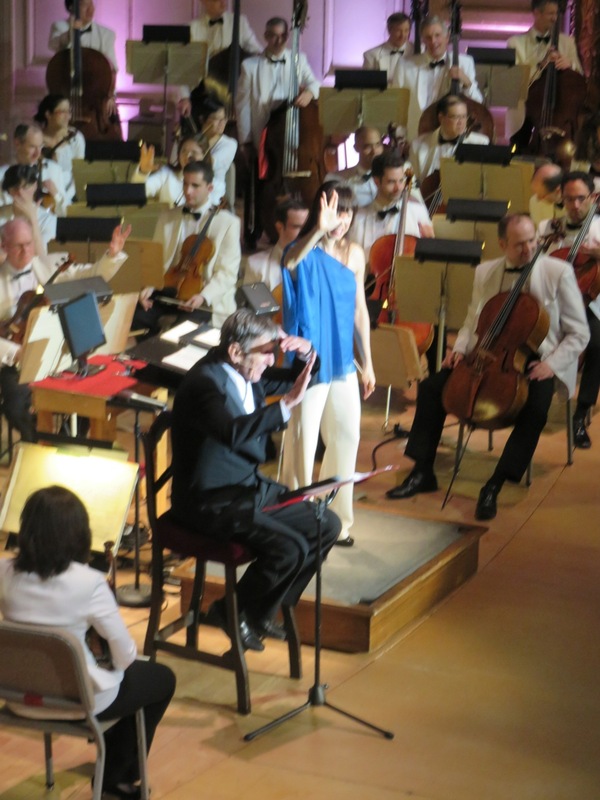 The audience roared to learn what a pansy our favorite Klingon was. The best panel was Saturday night, when Brent Spiner, LeVar Burton, Gates McFadden, Michael Dorn, Marinia Sirtis, and Denise Crosby all shared the stage while ostensibly being moderated by William Shatner. From the camaraderie exuded by the crew, it was easy to imagine the show was still on the air, with everyone working together every day and having bonded into a family. At one point when discussing an issue of diversity, Shatner said, "Let's ask our resident black person." Dorn appeared ready to speak as Shatner turned and, pointedly ignoring the Klingon, asked, "LeVar?" 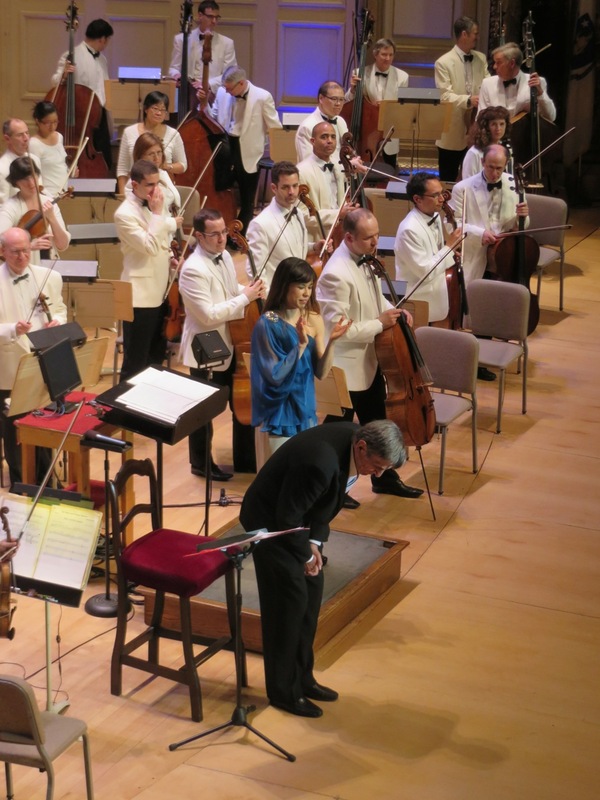 Dorn immediately clammed up, got up from his chair, walked to the corner of the stage, folded his arms, and pouted. Only a hug from Burton brought him back to the group. My co-attendee Gene related more anecdotes from this panel in his blog. The auditorium in which these panels were held, part of the Hynes Convention Center, was massive, seating thousands of people. Although some seats were better than others, there was never concern about not getting into a panel, unlike the massively overcrowded Super Megafest. As fun as these hour-long sessions were, I preferred the one-on-one interaction offered by autograph sessions, no matter how brief. I got to tell Michael Dorn that I had backed his failed Kickstarter project for the movie Through the Fire. He reflected that fans can be rabidly loyal, but only within a genre, as he found when trying to crowdfund his romantic comedy. I was going to tell Gates McFadden that I'm a fan of her photography with her Beverly Crusher action figure, but she beat me to it when she saw me pick up her business card advertising exactly that exploit, telling me I should check it out. I told LeVar Burton how much I enjoyed the PBS music remix of Reading Rainbow. There was surprisingly no line for Denise Crosby, who was an absolute sweetheart. I reflected how surprised I was that they actually killed off her Lois & Clark character — "Denise Crosby always comes back!" I insisted. When I asked her to make the autograph out to Ken, she said, "A name I know well — my husband's name is Ken." I quipped, "You have excellent taste." She actually had to put down the pen for a moment while she laughed. All of the above happened on Saturday, and I would've had my fill then, except that the DS9 actors I wanted to meet were attending Sunday only. After a power outage delayed opening of the convention hall that morning, I got in to meet Nana Visitor. I thanked her for portraying the strong yet nuanced female character of Kira. She demurred, "That's just the way she was written." Still, I thanked her for bringing the character to life, though I neglected to suggest how different the show would've been with Michelle Forbes. I also commented how surprised I was to see Visitor appear on the news not for her acting work, but as a person on the street affected by Hurricane Sandy. She laughed, acknowledging that of course she'd be caught on TV without any makeup on! I got Visitor's autograph twice: once for myself, and once for a friend's daughter (who I described as my niece), who had just started watching DS9 as her introduction to Trek. Visitor asked how old my niece is, and I guessed (correctly!) eight, which gave her pause — DS9 is pretty dark for such a young person to be watching. But it's how old I was when I started with TNG, and we all have to start somewhere! Next in line was Rene Auberjonois, who earlier in the day had been selling simple line drawings of Odo's bucket in exchange for a donation to Doctors Without Borders — a worthy cause, but I wanted the standard 8"x11" autographed glossy. When he started signing my photo, I asked him to make it out to my first name. "Well, Ken," he hesitated, "here's the deal: I'm personalizing autographs only if you make a $5 donation to Doctors Without Borders." Given that I'd spent almost all my money on other autographs and had already spent $25 to get this far in Auberjonois's line, I felt a bit ambushed. Had this surcharge been advertised sooner, or if the autograph had been $5 less, I might not have been so caught off-guard. Fortunately, when I emptied my wallet on the table, showing him the only $4 I had, he accepted that donation. I made up the difference and then some when I got home, as again, it's a great cause, and I admire Auberjonois for lending his celebrity status to it — I just thought the delivery could've been better. The last treat of the weekend were the photograph opportunities, which are sold separately from the autograph sessions. If you want to drop a ton of money very quickly, autographs and photographs are the way to go. Photographs ranged from $80 (William Shatner) to $40 (almost everyone else), and autographs were $90 (Shatner again) to $20 (Suzie Plakson). Not rich enough for your blood? 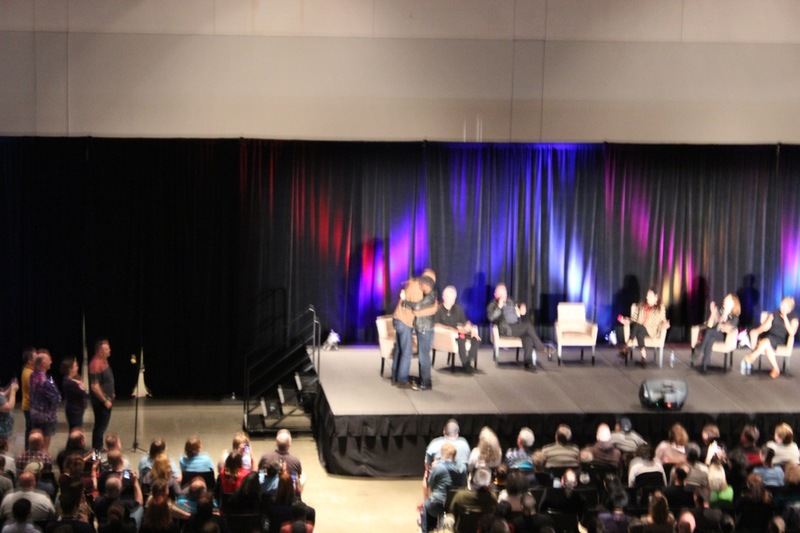 A single photo with Shatner and the entire TNG panel he moderated was $379 — oof! The saving grace is that these prices are valid for one or two guests in the same photo, and my cohort Gene invited me to share the stage with (and expense of) LeVar Burton and George Takei. I appreciated his generous offer and graciously accepted! I enjoyed my first Star Trek convention, but although I can imagine many other sessions and topics it could offer, I'm hardpressed to imagine that this con's 2014 return to Boston will be much different from the 2013 event. I'd like to eventually collect autographs from the entire TNG cast — I'm currently missing only Wil Wheaton and Diana Muldar, and their attendance would lure me back. I'd also like to meet more actors from the three post-DS9 shows, as well as some of the shows' directors, producers, and writers. The Boston con featured Morgan Gendel, author of award-winning TNG episode "The Inner Light", but how about getting Rick Berman, Brannon Braga, Manny Coto, or Judith and Garfield Reeves-Stevens? Every Star Trek fan should attend at least one convention in her or his life. I can now say that I've attended mine!